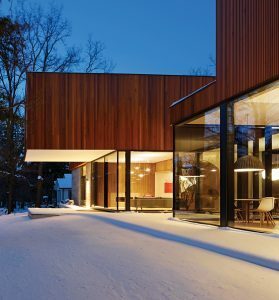 The living room is relatively compact in winter, but in summer months it extends outside under the cantilevered upper floor, doubling in size. These social spaces are shared by the extended family. 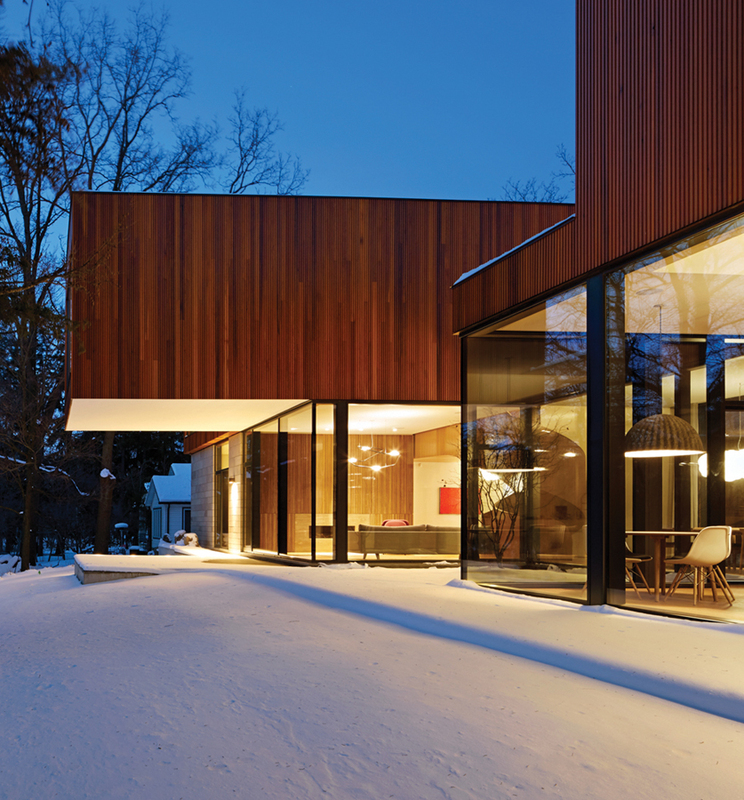 Return to "A Home for all Seasons: Ancaster Creek House, Ontario"